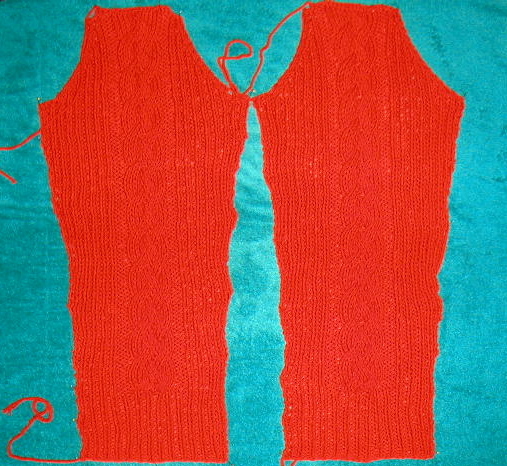 I actually finished the sleeves last night and pinned them to block this evening. This sweater seemed to go by pretty quickly considering all the trouble I had early on. The collar will be easy. I just need to pick up stitches and knit up some rib. I don't think I can wear it anytime soon though as the weather here is amazingly warm!